Since 1967, Gerber Life insurance has been dedicated to providing life insurance to all age groups that make a family. Gerber Life insurance is all about financial protection of the family, whether they are adults saving up wealth, teens saving for college, or parents saving for their young ones future. Gerber is the brand that parents and communities can trust and depend on in their darkest times. Life insurance policies offer peace of mind and comfort to take more risks and still benefit from the experience. Why trust a Life Insurance Company? Thinking of getting life insurance might seem like a pessimistic and even morbid approach to life. It isn’t unfair to say that life insurance companies profit from the people’s natural fear of death.Just because the idea of death scares us, it doesn’t mean that it is necessarily bad.Life Insurance companies have been around for hundreds of years. In fact, they are most financially stable institutions in the world. Yet, more than 80% of families in the United States do not have enough life insurance. Even though, Life Insurance companies offer many benefits, the general public are resistant to protect their future. 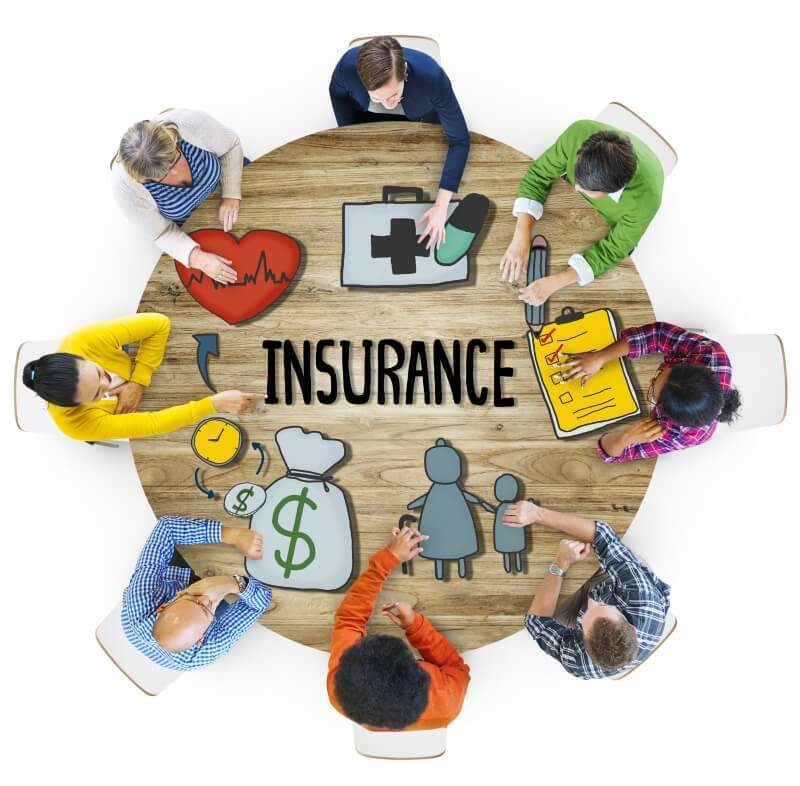 Some of the solutions offered by insurance companies are very beneficial depending on where you are in life. If you pick the right plan, it will mean a financially secure future for your family in case of your death. Experience – while most high school grads and college grads do not even know how insurance policies work, older folks have more experience and realize the potential benefits of life insurance. Savings – when you’re young, you are all about spending and consumerism. You have to have the latest laptop, the latest iPhone and the latest car. And you must have it all immediately. You are only responsible for yourself but as you get older you realize there is more to life than just yourself. You have a spouse and a family to take care of. Sometimes the latest car isn’t as important as keeping up with your mortgage payments and maintaining a roof over their heads. That’s when wisdom kicks in.As a result, Life insurance becomes more logical and vital in the more mature phase of our lives. Gerber has been a name that stands for family care with an “A” (Excellent) rating . You can have confidence in Gerber life insurance and their coverage. Gerber is a strong company ready to help you and your family now and in their future. Lean more about Gerber Life Insurance products for adults and children. Guaranteed life insurance policy is meant for those people that have health issues and don’t qualify for regular life insurance. Mostly these are older seniors, but the plan is also available to younger people who are unable to sign up for typical life insurance plans. Guaranteed life insurance does not require any sort of medical examination and everybody qualifies. The payouts are generally lower than that of regular insurance policies, but the coverage never expires. If your between 50 and years of age, you qualify for up to $25,000 of Life insurance coverage. Gerber is best known for its life insurance policies for children. Their latest coverage plan for kids is the Gerber life grow-up plan. This plan is for children between 14 days – 14 years old and it offers extremely low monthly premiums . Coverage amounts are from $5,000 – $50,000 (depending on premiums). The coverage amount is doubled at the age of 18 and the child becomes the official policy holder at the age of 21. That is when he/she can choose to continue with the plan, at those low premium rates, or cash out. Additionally,Gerber Grow-Up Plan provides you with an approval guarantee into the future regardless of your health as an adult. As you grow older, you can increase your coverage at adult rates and build cash value,which you can borrow against when you need it. Premiums and interest rates tend to get higher with time. If you want to apply for insurance – the earlier you do it, the better the returns for you. This a college savings plan that also acts as an adult life insurance plan which comes into effect in case the holder of the policy passes away. Maturity dates usually coincide with graduation dates. As the term of the policy is completed, the holder or parents receive a lump sum amount. Coverage amounts can range from $10,000 – $150,000. Just imagine graduating college with a $150,000 in your bank ready to take on the world. You could fund your startup or pay off your student loans to start your career debt-free. This policy alone could give you the edge that you need to get ahead of the pack. Life is uncertain and accidents don’t happen till they do. There is no way of telling why or when anyone of us will be in a major incident. Gerber accidental insurance covers the victim’s medical expenses and hospital bills. In case the policy holder dies, the coverage provides financial support to their spouse and next of kin. Coverage amounts start from $20,000 and go up to $100,000. These can also be utilized for funeral expenses and mortgage payments. Your house and your family are your most important assets in this world, and you must make an active effort to secure their future growth. Unlike whole life insurance, term life insurance is only good for a number of years. It can be kept for a term of 10 to 30 years. If the policyholder meets their demise during this time, their family can file a claim with the insurance company for the amount of the policy. However, if the policyholder lives beyond his term, he or she may be able to extend the term to more years. Therefore, The policy holder has the option to renew his policy upon new premium rates, without a physical exam. Gerber life insurance does not increase premiums on an yearly basis. You will have to pay the same premium amount throughout the term of the policy. Gerber always puts families and customers first. Have questions on pricing and benefits?